On April 27, 1947, baseball legend Babe Ruth, diagnosed with a terminal case of throat cancer, attended "Babe Ruth Day" at Yankee Stadium. 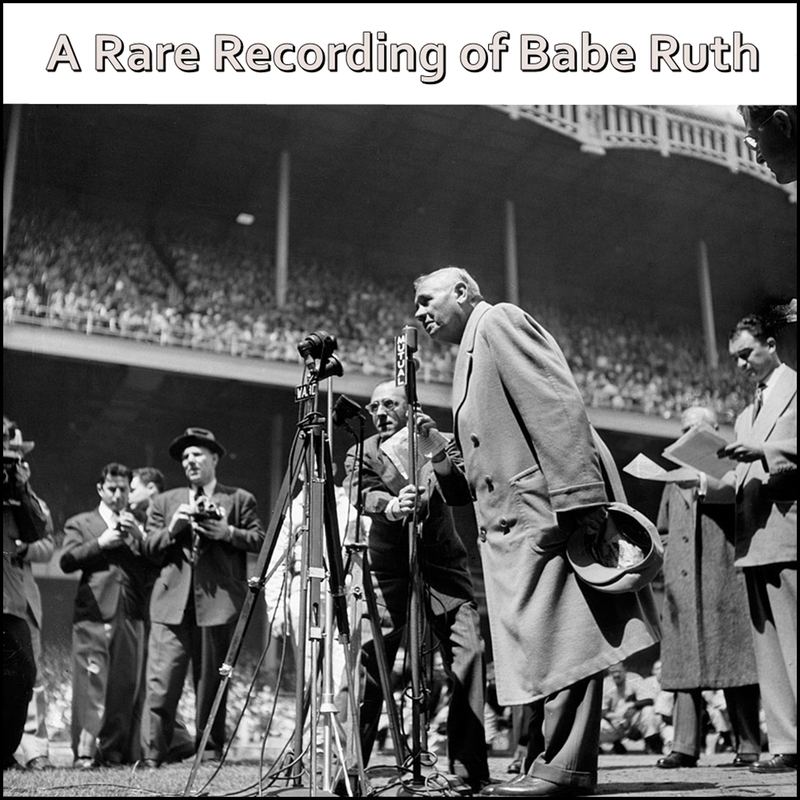 A 13-year-old boy representing the American Legion baseball program introduces Babe Ruth, who delivers a speech to the crowd from home plate. George Herman "Babe" Ruth Jr. (Feb 06, 1895 - Aug 16, 1948) was an American professional baseball player whose career in Major League Baseball spanned 22 seasons, from 1914 through 1935. Nicknamed "The Bambino" and "The Sultan of Swat", he began his MLB career as a stellar left-handed pitcher for the Boston Red Sox, but achieved his greatest fame as a slugging outfielder for the New York Yankees.